Right Turn exercises your spatial rotation skills. You make use of these skills in a host of activities—from packing your bags efficiently for a trip, to finding your way in a new city when you arrive. Picture this: you have found your way to a location in an unfamiliar neighborhood. When you leave to go back home, you have to reverse the directions you used to get there. This means you have to mentally rotate the map of the scene in your head so you can get home with no wrong turns. Or imagine you are doing a really difficult jigsaw puzzle, or packing a box, suitcase or drawer to make everything fit. Mental rotation can help your brain performance in a variety of situations. In fact, scientists have recently found that people who excel at mental rotation tend to be significantly more creative and better at math and science than those who lack that skill. In the exercise, two images are placed side by side. One of the images is rotated relative to the other. 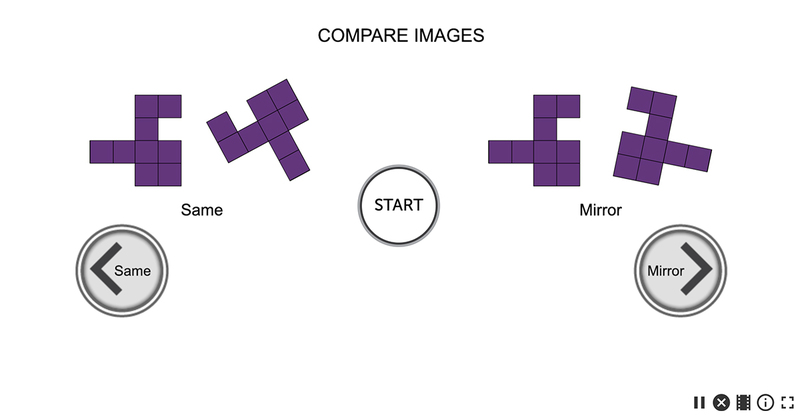 Your task is to decide if the images are the same or if they are mirror images of each other. 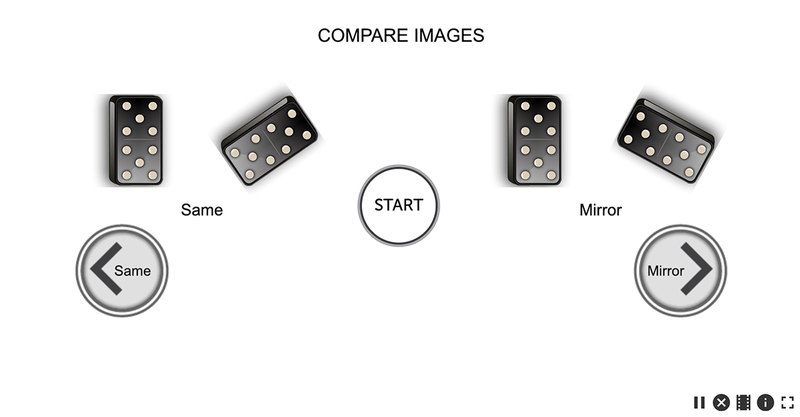 This requires you to rotate the images in your mind so you can quickly compare them to one another and make a decision. 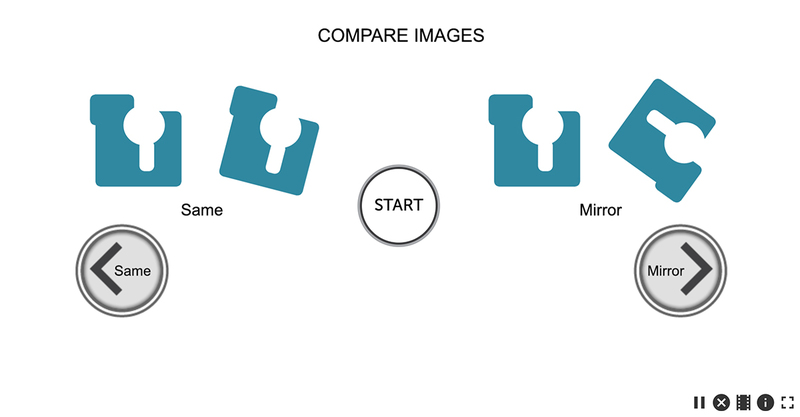 The time you have to compare the images is reduced. The original and mirror images become more similar. Train with Right Turn to improve your spatial rotation skills, and see where it can take you! Mentally rotate images and compare them to see if they match. Your score is in milliseconds. As you improve, you get less time to make a comparison. Your score is the number of milliseconds the image pair is on screen.